Lots going on this week, so let’s jump straight in. Ever since bought my PC – which was over two years ago, I’ve been using a TV instead of a proper monitor for playing on. I’ve been meaning to get a new one for ages and last week when Amazon Prime day hit was the day I finally took the plunge. I spotted the Acer GN246HLB on sale with over £130 off of its RRP, the offer was too good to pass on. 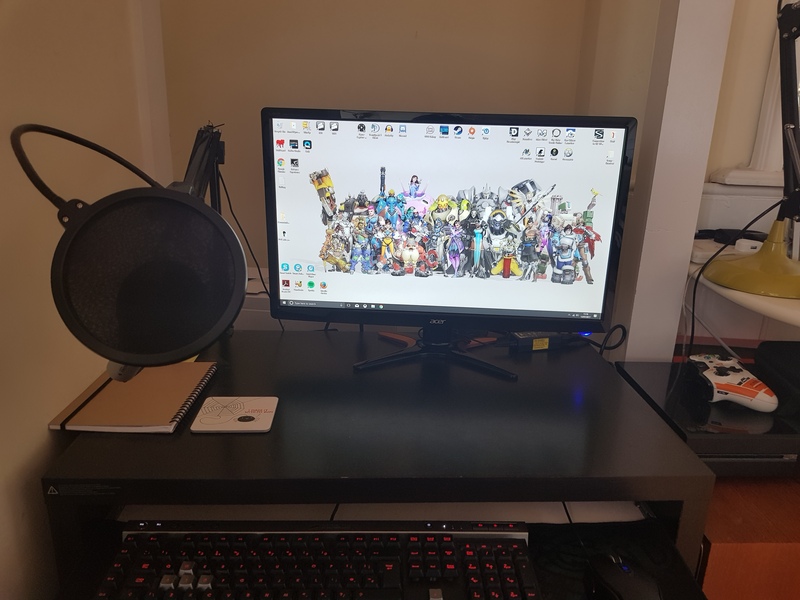 As is the norm with Prime my lovely new monitor arrived the next day and I’m now sitting on 144hz of beautifully smooth gameplay. It’s actually pretty amazing how much of a difference a monitor makes compared to a TV, my TV wasn’t exactly terrible, but the difference in colour quality and overall picture quality is night and day, chuck on top of that the fact that I’ve gone from 60FPS to 144FPS the difference now is incredible and I don’t think I will ever be able to play anything else. Now, I’ve not been playing it – obviously, but the Beta is due to hit this week -tomorrow for PS4 pre orders, Wednesday for Xbox One pre orders and then it opens up for everyone on consoles on the 21st. The PC Beta won’t be until some time in August. I’m going to be getting Destiny 2 on PC, there’s basically no doubt about it, but I want to play it now so I did a cheeky pre-order on Amazon to get a Beta code and then cancelled the pre-order. Which means from Wednesday evening I will be playing Destiny 2! Most of the stuff in the Beta we’ve already seen at E3 and from videos popping up online from news outlets etc… But it will be nice to get some hands on time and expect some first impressions on here when we get our mitts on it! Whilst I’m disappointed that the PC Beta is still some way off and the release is slightly after the console version, the decision to go to PC was an easy one really. Firstly I hardly play my Xbox One anymore and I actually jumped on it over the weekend to preload the Beta and jump on Destiny, man is it slow! Everything from the UI, to loading is so slow and sluggish on it, it makes me appreciate my PC even more. 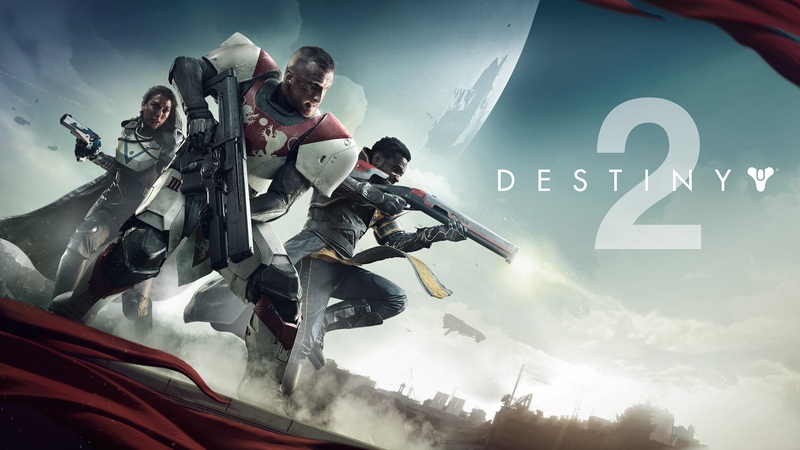 One of the main factors in going to PC was the fact that Destiny 2 will be 30fps on console. I’m sorry, call me a snob if you like, but it’s just not good enough that it’s only 30fps especially on the PS4 Pro and Xbox One X. I just really hope the PC version is well optimized from launch. It’s been a little while since I had a night of just playing some board games, but Friday night I headed to a friends house for a few games. We played a few rounds of Ascension: Realms Unraveled which we reviewed a little while back. I really enjoy Ascension and it makes me want to try out some other deck building games as a lot of people have the opinion that there are better ones out there. We also played a game of Zombicide Black Plague. I recently did a late pledge for Zombicide Green Horde on Kickstarter and that has got me wanting to play some Zombicide. In my opinion Black Plague is more enjoyable than the standard Zombicide game, maybe it’s just because I like the Fantasy theme a bit more, but I do also think it introduced some better mechanics too. We lost the game, but it was still a lot of fun. I got in on Green Horde mainly because I knew I’d like the game and kind of wanted all the Kickstarter exclusives that come with it – seriously there are laods. Unfortunately I won’t be getting it until next year, but it’s something to look forward to. Plus I’m thinking I might also create a custom campaign for both Green Horde and Black Plague whilst I wait. You may have come to know by now that when it comes to my games, I enjoy owning a physical copy of games when I can. When I heard that Parappa The Rapper was getting a physical version but only releasing in Asia regions, I had to import it from Play-Asia. I played the waiting game and eventually it came back in stock, so I ordered straight away…. back in June. Well here we are mid July and the game finally arrived, and the timing couldn’t have been more perfect as I’d taken Thursday and Friday off work. So how did it go? Well over the course of a 4 day weekend I’ve completed the game, but it was never a long game. I must confess though that I didn’t do all the work myself. I had reached stage 4 AKA “Cheap Cheap!”, And was stuck on this level for absolutely ages. Saturday night I had the chaps from the Book It Vince segment from one of our old features over to play some games, and challenged them to help me pass this level on Parappa and to progress on Crash Bandicoot (which i’ll mention a little later). After hearing Cheap Cheap’s rap over and over again, finally the curse was broken and Mike beat the level for me. Even better he did it with a ‘Good’ rating netting me a trophy. After this I replayed the 3rd level about the Flea Party and managed to complete it on ‘Cool’ netting another trophy. We then progressed further and actually completed the game by the end of the evening. I was incredibly happy about this. As well as Parappa I’m still plugging away at Crash. However, much like Parappa I got to a point in the game where progression has become frustrating, so I relied on my friends to again help me progress. We had to navigate High Road. This took about an hour of replaying but eventually was completed, albeit not all boxes were hit, but I could not give a monkey’s at this point. I just wanted to progress. What I didn’t remember was just how bad Sunset Vista is a few levels later. Once again, progression has stalled. Away from games, I took some time to check out Disney Pixar’s latest movie Cars 3. They’re not my favourite Pixar films by any means but I can still watch them just to pass time. Cars 3 is a little different to the previous 2. While the story is quite familiar in that Lightning McQueen goes from top racer to having to beat a new improved challenger, the end plays out a little bit differently to the usual Lightning wins storyline. So a good mix up from the old formula, But still It’s not an overly memorable film. At this point it’s no secret the Cars franchise is only still relevant to the amount of money that Disney are making from the merchandise, and this film feels like one that Disney have pleaded with Pixar to make just to continue that cash flow. It doesn’t have the usual Pixar charm, but visually the quality is still just as you’d expect from the team. Hopefully Pixar’s 2nd film out this year Coco is the prime Pixar project of 2017, which judging by the trailers appears to be the case. Staying with films, I finally got around to watching a film I’d wanted to see in the cinema but never got round to in Alien Covenant. All the hype before the film had us thinking this was going to be a great Alien film again akin to the first 2 which I’d confidently say are the pinnacle of the series. I have to be honest, As I didn’t know much else about this film, I had no idea it followed on from Prometheus as much as it did. That film got slated badly, but I’m glad I had watched it at least as had I not a lot of the plot of Covenant could have potentially been wasted on me. It’s pretty decent and does maintain a little bit of the ‘edge of your seat’ feeling you had watching the originals, but no where near the same quality as those back in the day. But you can’t ever not like the Xenomorph, One of the greatest if not the greatest designs for an extra terrestrial being ever. Apparently I need to take long weekends more often as I can watch and play so much. To round out my viewing pleasure for the weekend my wife and I did a large Iron Fist Marathon cramming 7 episodes into one night. We’re now only 1 episode left to go to finish the series. I’ve enjoyed it a lot more than anticipated. As mentioned last week, the reviews and reception had put me off a little bit, but I’m very much enjoying the escapades of Danny Rand and the battle for ownership of Rand as well as the twists and turns about The Hand. It’s got me so incredibly hyped for The Defenders as more and more nods and teases in episodes to the other Defenders is made, all thanks to Claire Temple tying it together. Straight from Disney’s D23 expo, new gameplay footage of Kingdom Hearts 3 was revealed, and it’s like watching Toy Story. The game play revealed was the Toy Story stages of the game, and it’s is just stunning. It’s amazing seeing how far we’ve come that we can play a game that visually is as striking as the original Toy Story is. Check out the trailer and a few screenshots. The success of Disney’s live action movies has resulted in plenty more of confirmations. Aladdin was one of the films to receive the live action adaption and now we finally have our full cast revealed for the film. Guy Ritchie’s Aladdin stars Mena Massoud as Aladdin, Naomi Scott as Jasmine and Will Smith as the genie. Naomi Scott had recently featured as the Pink Ranger in the Power Rangers reboot from earlier this year. The biggest news is the confirmation of Will Smith as the genie. It’s a tough role to have as Robin Williams portrayal as the genie is sensational. And sticking with the Disney news. A trailer was apparently shown to press at D23 for the highly anticipated Avengers Infinity War. No footage has leaked as all press were required to leave their mobile phones in secure bags outside the hall. Descriptions of the trailer have surfaced though and from what I’ve read sounds insane. I cannot wait for this trailer to drop. Here’s the description as per someone lucky enough to have seen the trailer. The footage began with probably a two-minute intro of footage from the first several movies, all focusing on the Infinity Stones we’ve seen so far. Then, the Marvel Studios logo, and on to the new stuff. Next we see the Guardians with Thor, flying to another planet, and when they arrive—again, it’s just massive destruction again. They all know something is very wrong. Cut to Earth. Scarlet Witch is moving around some cars or something and a female voiceover says “Death follows him like a shadow.” Loki emerges and presents the Tesseract to someone who is taller than him. Cut to Queens and the hairs on the arm of a young Peter Parker stand up on end. He turns around in fear and we see a ship flying toward a planet we assume is Earth. “We have one advantage,” Tony Stark says. “He’s coming to us.” As the ship crashes, we see Mantis, Iron Man, Star-Lord, Doctor Strange, and a few others characters in total shock. “Fun really isn’t something one considers when balancing the universe,” a voice says. Gamora turns around in total horror. “But this puts a smile on my face.” Star-Lord: “Oh no.” And out of a black hole emerges the purple madman, Thanos. A fight begins. Doctor Strange is putting down platforms and Star-Lord is jumping off them, shooting his guns. Cut to Spider-Man, in his new suit revealed at the end of Homecoming, jumping through the air. A shot of Vision behind bars. A shot of a Wakandan army which includes Bucky. Captain America comes out of shadows with a full beard. Black Widow is shown with blonde hair. Iron Man has new, very sleek armor. Someone is using the Hulkbuster armor. Just a huge montage of shots. Peter Parker is on the ground very hurt. “I’m sorry Tony,” he says behind tears with Iron Man holding his head. Thanos grabs Thor’s head and squeezes. Then Thanos, in the heat of battle with the Infinity Gauntlet on his hand, uses the power of the two stones he has (Purple and Blue, I think) to grab a moon. He starts to drag it toward whatever planet everyone is standing on. The debris starts to fly and… cut to title card.